Springtime is when our Falcons need you most! 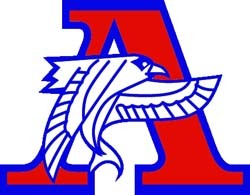 The Armstrong Falcons Football Touchdown Club and Armstrong Girls Soccer Boosters are hosting an MYAS basketball tournament at Armstrong High School in support of the football and soccer programs! Game uniforms, practice equipment and transportation are just a few items covered by these funds. The Falcons need your time! If this invitation has reached you in error, please email the Touchdown Club at [email protected] and we will remove you from the list.